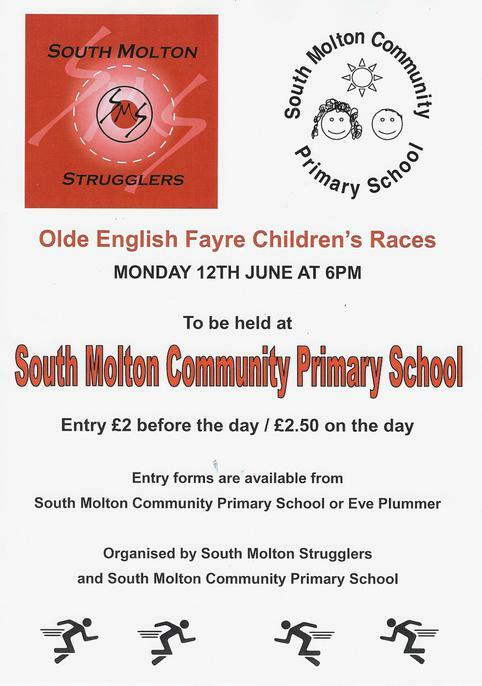 We are very pleased to be hosting and supporting this event again this year with South Molton Strugglers for the South Molton Olde English Fayre. 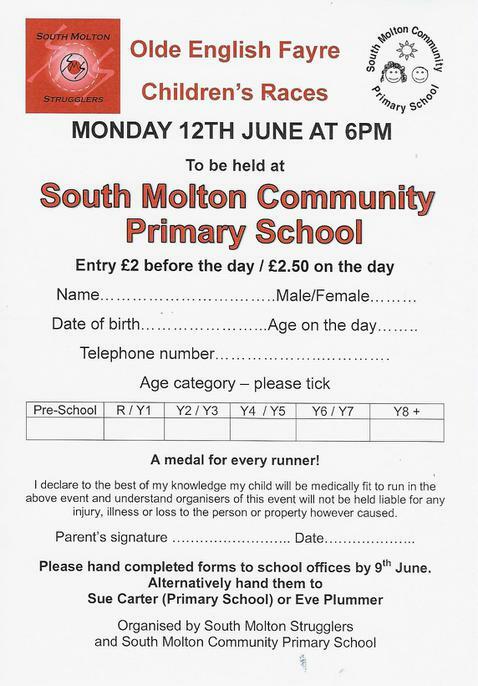 Please come along for a fun evening of races! Paper copies of the entry form are available in the school office.